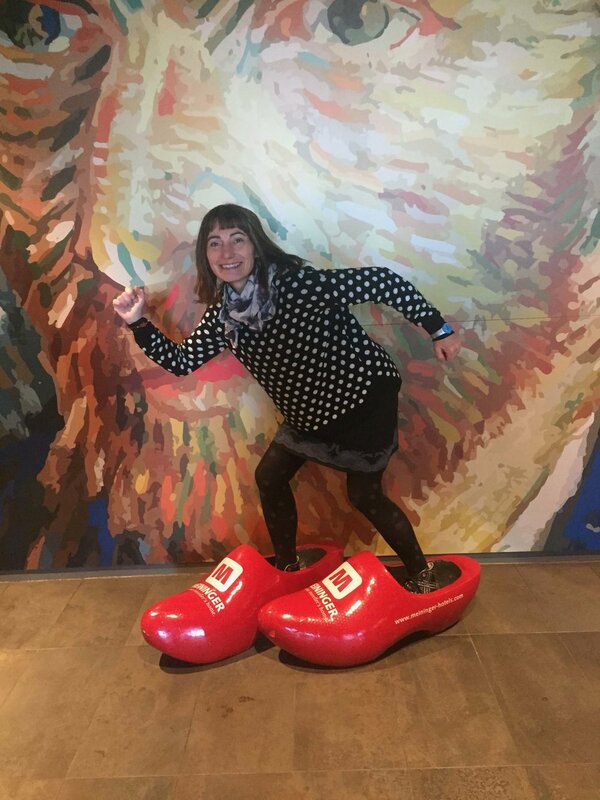 We caught up with Deirdre Bennett, Creative Industries Lecturer, after a recent department trip to Amsterdam with Creative Industries students, from all years of the BA (Hons) Contemporary Art Practice and BA (Hons) Visual Communications courses. We arrived quite late on the first day so we just chilled out in the hotel or went to our comfortable beds to get some sleep for the early start in the morning. With an itinerary that would make most artists drool, the students got the opportunity to explore both contemporary and traditional art in some of the most magnificent art museums in Europe. On day two, we visited Rembrandts house and learned about his daily life, inspirations, techniques, sketches and much more. We got to see his studio and learn how his paints were made. It was wonderful to see his reference material such as plaster moulds, taxidermy creatures and even a human skull. After Rembrandt’s house, the students were given free time to explore the city at their leisure, as long as they stayed in groups. After a delicious and rather bountiful continental breakfast, day three kicked off with a visit to the Van Gogh Museum. Here we learned about the tragic life of one of the art worlds most influential artists whilst immersing ourselves in his often vibrant paintings filled with complimentary strokes of yellows, greens, oranges and blues; Van Gogh exploring a new way of seeing. His paintings often seemed to juxtapose the turmoil and sadness within him. It was and emotional experience and more than memorable. Following a relaxing lunch sitting in the sun, we visited an establishment dedicated to more modern art: a cathedral of contemporary, the Stedelijk Museum. Within its rather funky walls was art that excited all the senses; with dark sound filled rooms, neon lights, towering text, there was certainly something for everyone. After the Stedelijk there was time for more city exploration. The lecturers wanting to soak up as much art as they could took a ferry to the architecturally stunning new EYE Film Institute to take in animator and artist Jan Švankmajer’s retrospective. This was highly recommended later to the students as something to visit in their free time. Day 4 - our last day - time really goes quickly when you’re having fun. Our last port of call was to the Rijksmuseum - a journey through Dutch art history in an impressive 1800s Dutch neo-Renaissance style building with awe-inspiring vaulted ceilings. Rembrandts Night Watch was a particular highlight to this stop. Lastly, we had a couple of hours to dedicate to free roaming along the canals and roads of the wonderful Amsterdam before our return flight home. Travel weary, crinkled, with suitcases stuffed full of laundry, trinkets and books a happily contented cohort of students and lecturers alike are in agreement; that they can’t wait to visit Amsterdam again. Want to find out more about our Creative Industries courses? Head over to our website for more information.